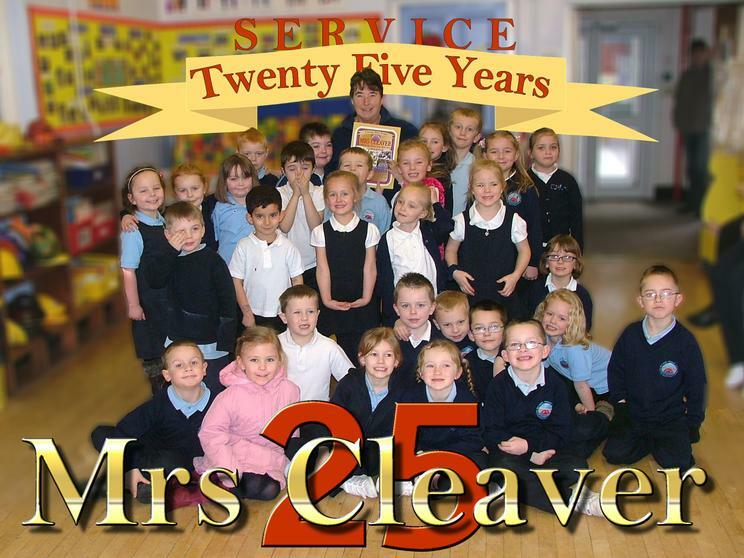 Mrs Cleaver Celebrated 25 years service with the school service on Friday 6th Feb. 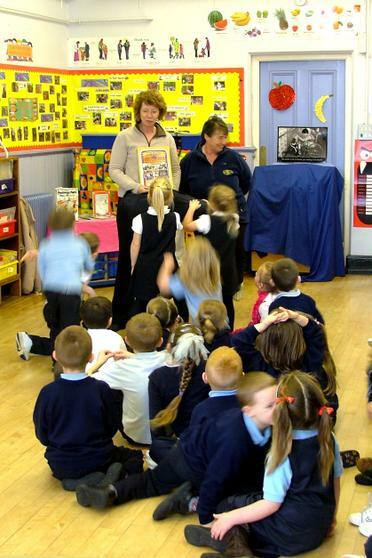 Which is a remarkable achievement in anyones book but its her enthusiasm and sense of fun that make the school and its pupils so very lucky to have her. 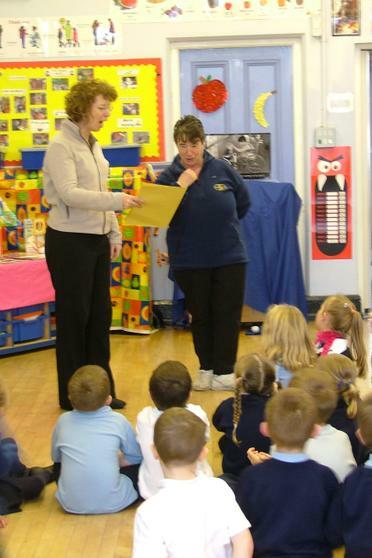 Apart from being a lollipop lady on the busy Cowbridge Rd crossing, she has been a dinner lady for many years too. 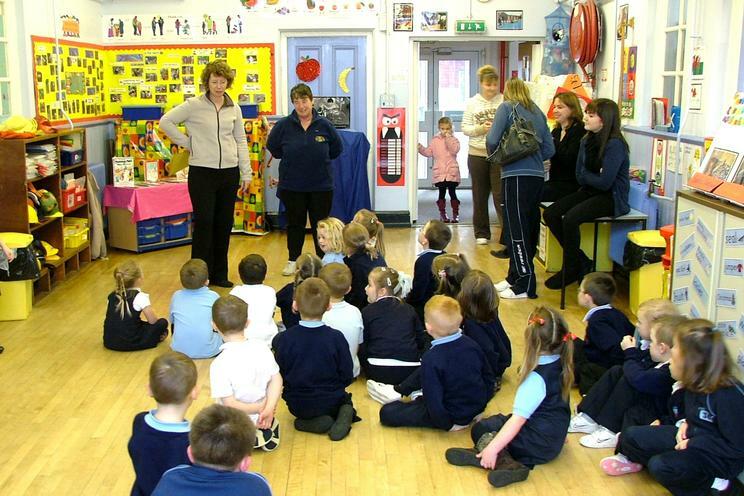 She has organised things like the Easter raffles for your children to have extra play equipment at lunchtime. during the snow it was Mrs cleaver who came into work early to help build snowmen with the children.